The Geological Society of America (GSA) is excited to announce that the On To the Future (OTF) Program is now accepting applications for the 2014 program. On To the Future is a grass roots initiative of The Geological Society of America (GSA) to provide partial-funding for diverse students to attend their first GSA Annual Meeting. Many GSA members describe their first GSA meeting as an exciting focal point in their professional development. It is the perfect situation for a student to become involved in the geoscience community, and gain exposure to the array of geoscience research and career options. GSA is also adding significant programs that facilitate effective mentoring relationships and networking opportunities. The personal connection accelerates the process of becoming an engaged and involved member of a scientific and professional community, and is an essential catalyst in transforming student into professional. As society is becoming increasingly diverse, it is only fitting to be able to support provide broad opportunities for our diverse student populations. The OTF program provides partial financial support to diverse undergraduate and graduate students to attend their first GSA Annual Meeting. Diverse undergraduate and graduate students from two and four year colleges and recent college graduates currently studying at US or Canadian institutions are eligible to apply. GSA encourages applications from low income, minority, first generation students, women, veterans, and students with disabilities. 4. 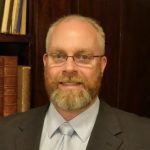 Cover letter addressing how your attendance to GSA’s Annual Meeting will help you meet your professional goals. Contact Tahlia Bear, [email protected] or by phone at 303-357-1066. For more information, please see the GSA OTF website. http://community.geosociety.org/OTF/home/. This opportunity is truly grass roots led, with a supportive Executive, Council, GSA Foundation and Diversity Community leading the way, the Society calls for the whole GSA to support this initiative – support, donate, and participate! 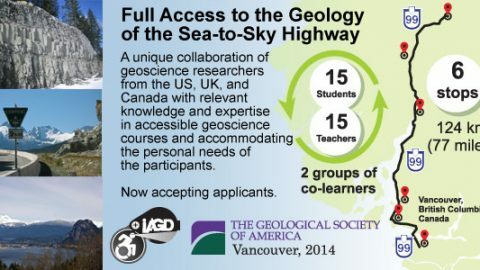 Accessible Geology Field Course In Vancouver, British ColumbiaGeoscience Graduates in High Demand: Increasing Need for Advanced Access and Inclusion in Geoscience Training?